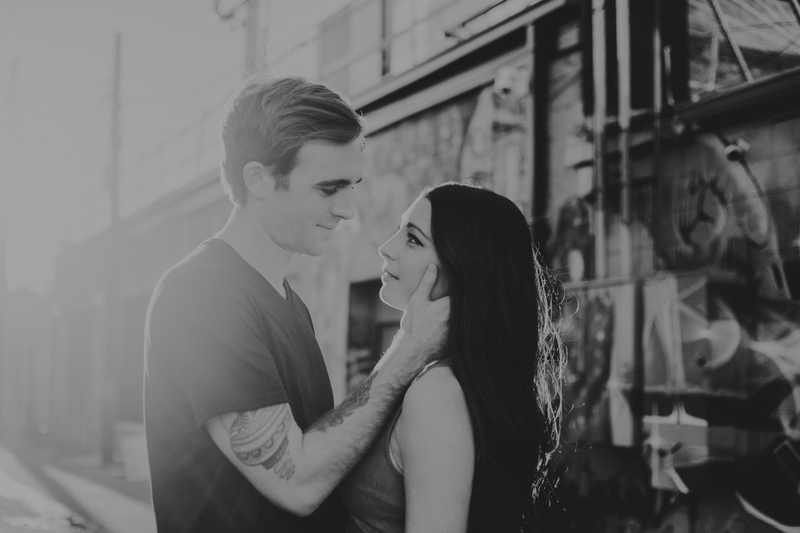 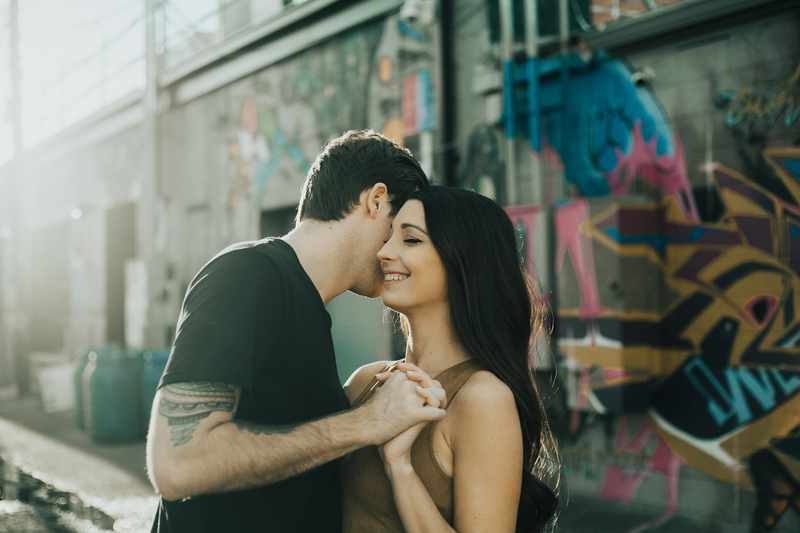 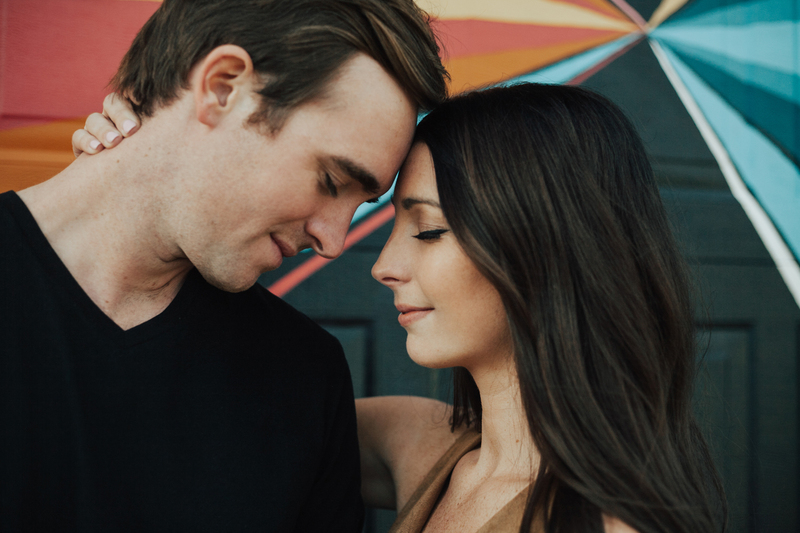 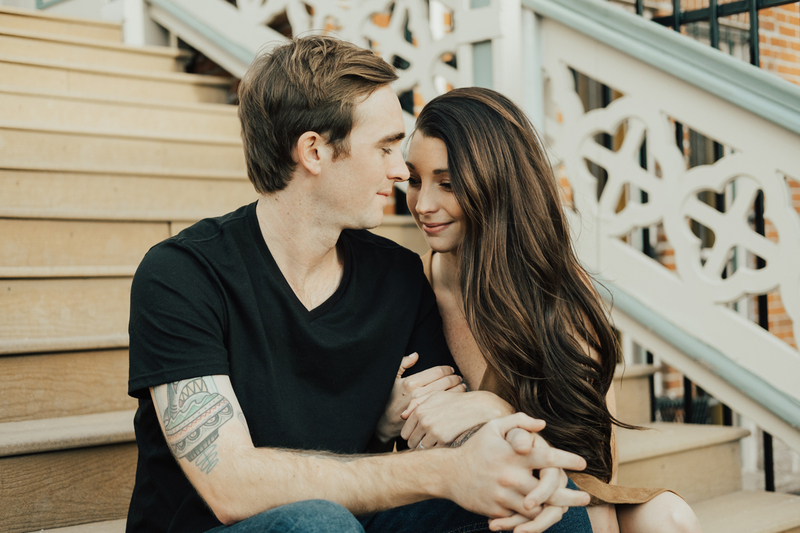 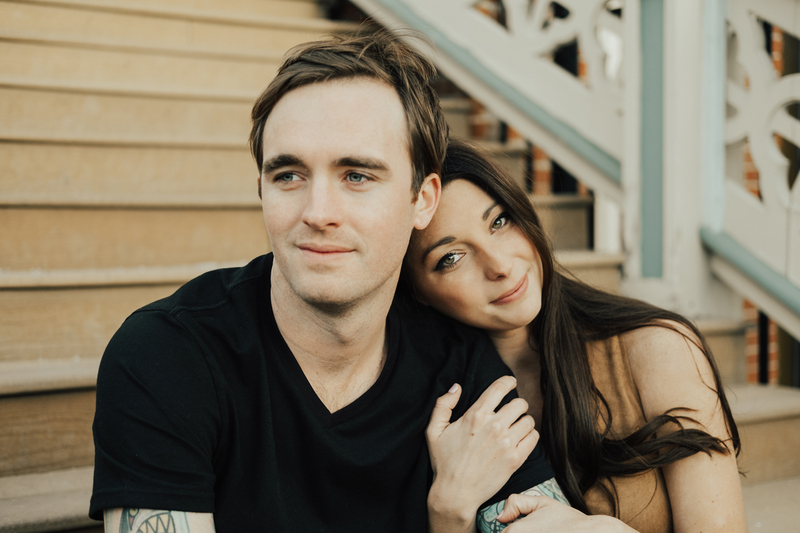 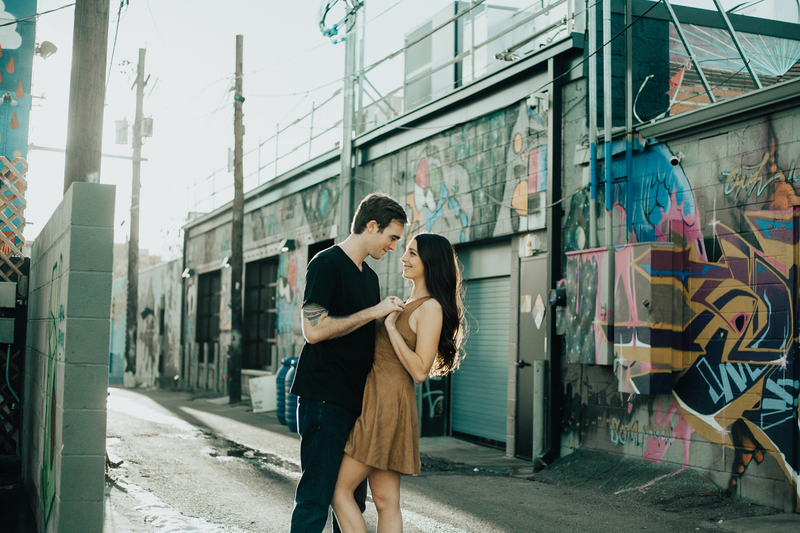 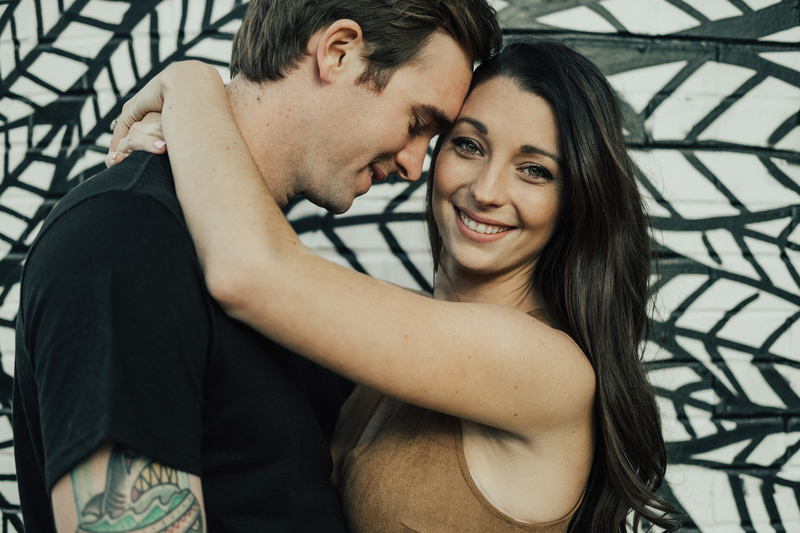 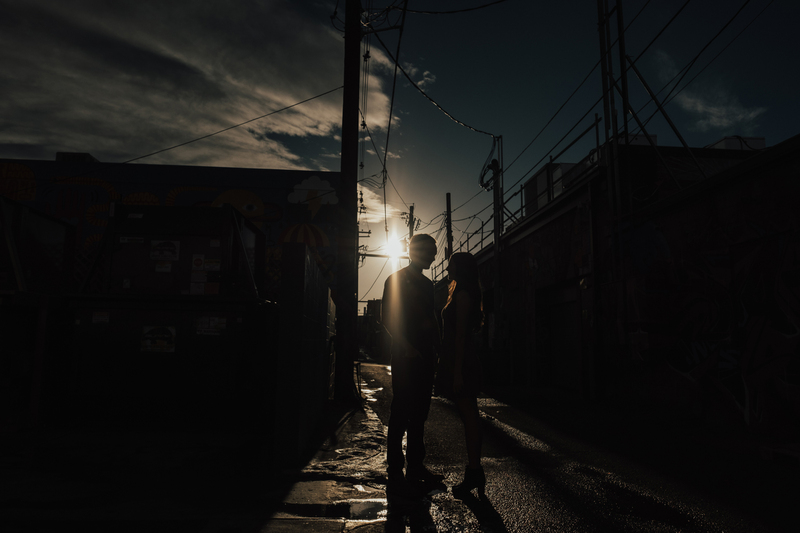 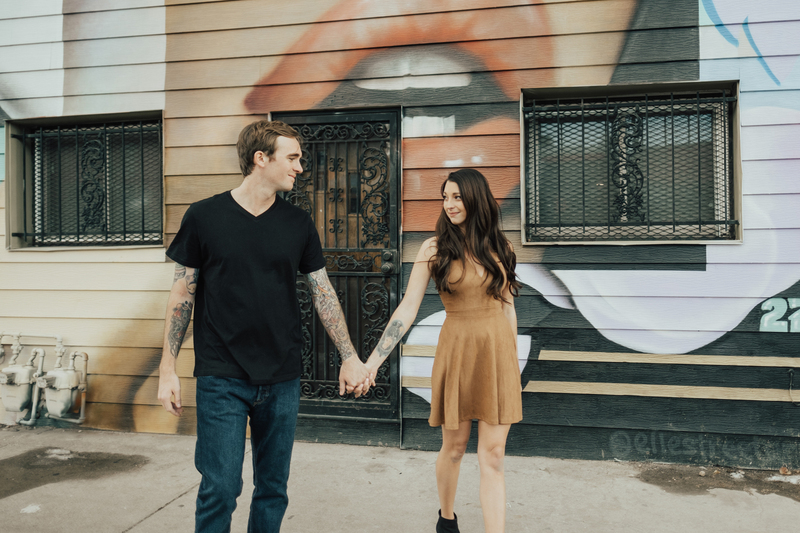 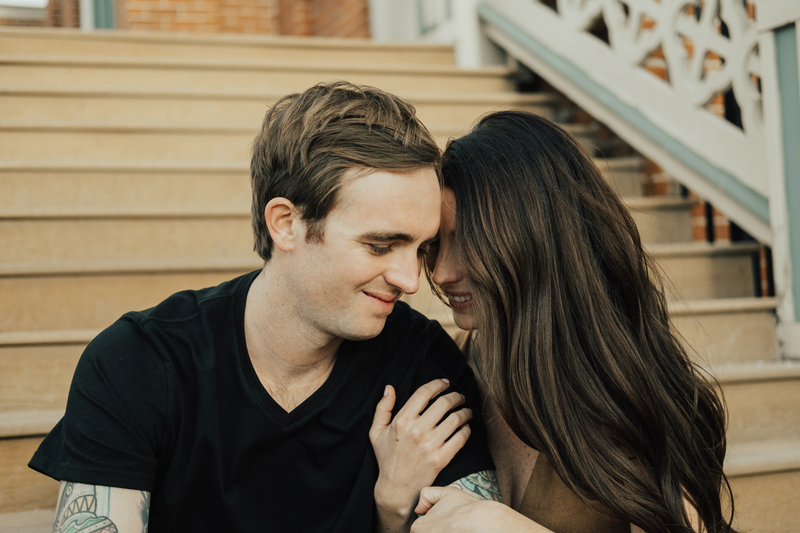 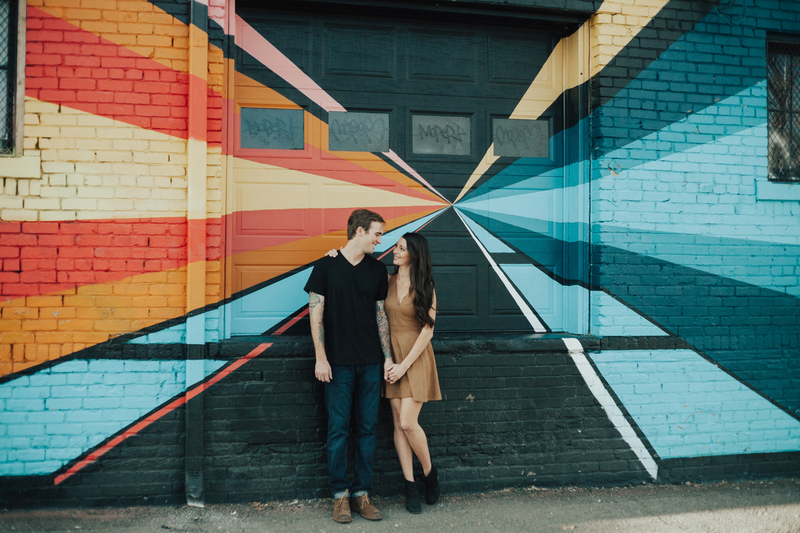 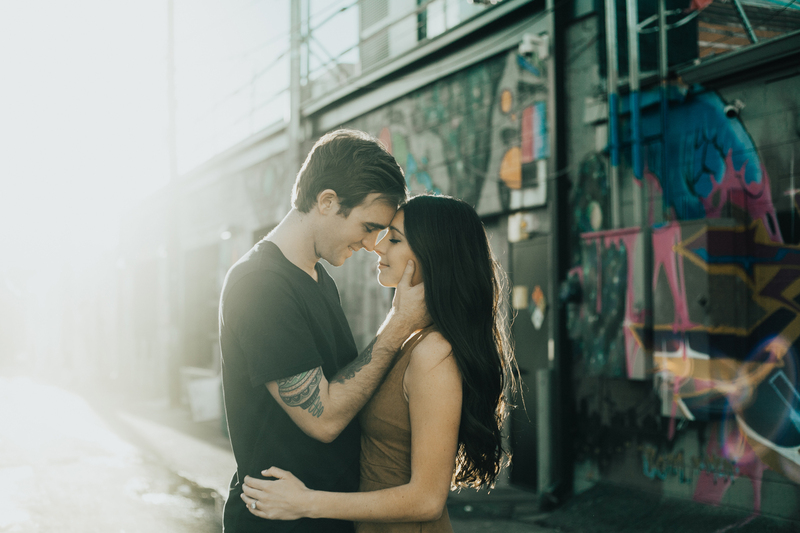 Engagement session round two! 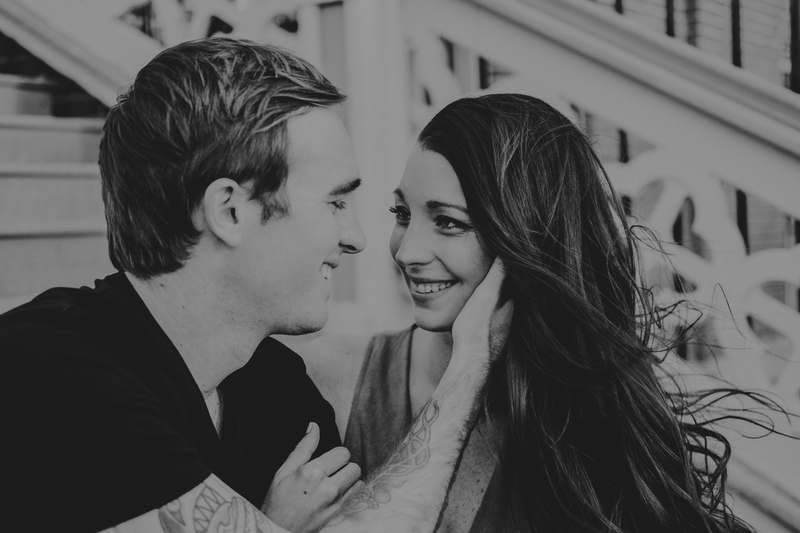 Sarah and Cameron’s Rocky Mountain engagement session early last week was on such a cold and windy Colorado day! 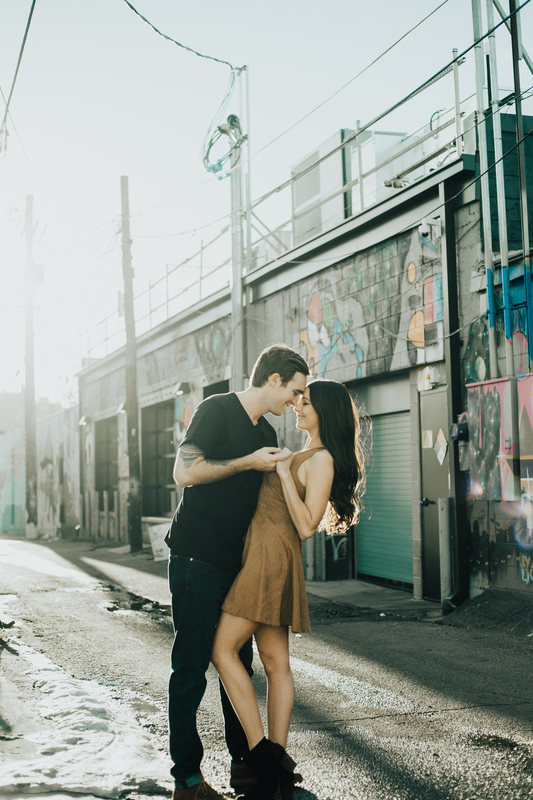 Although we were able to get a few great images, I knew we needed to meet back up for another session. 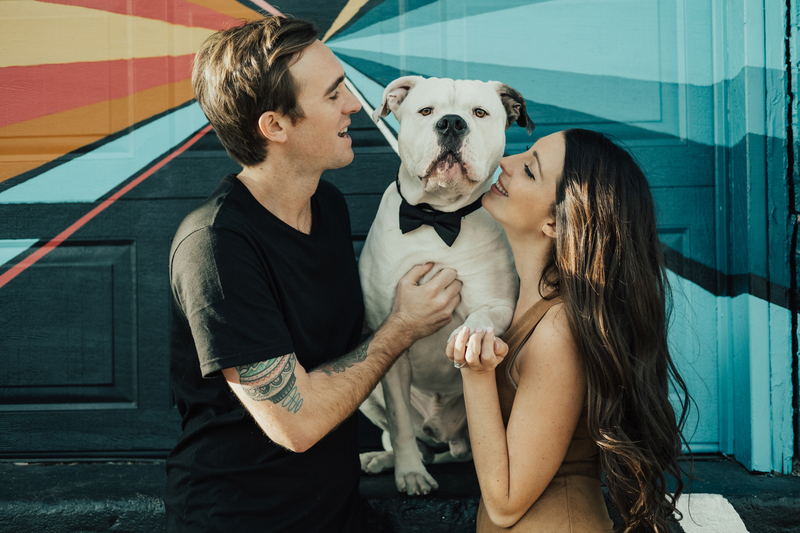 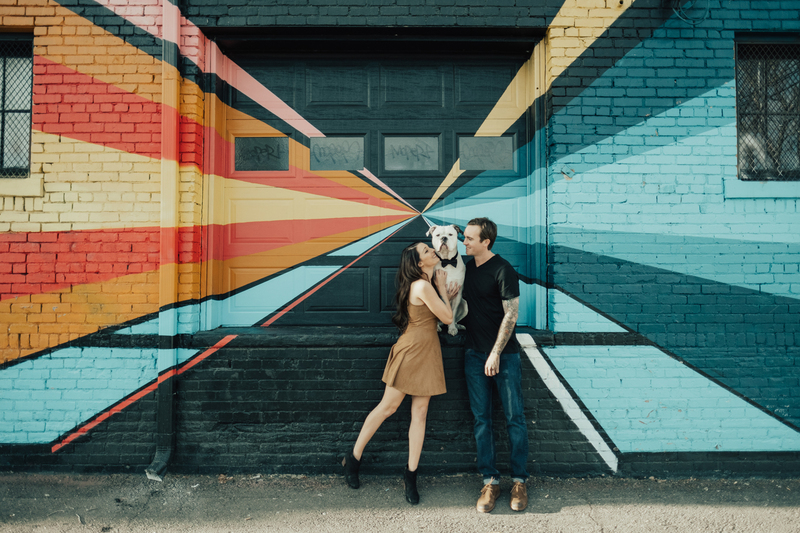 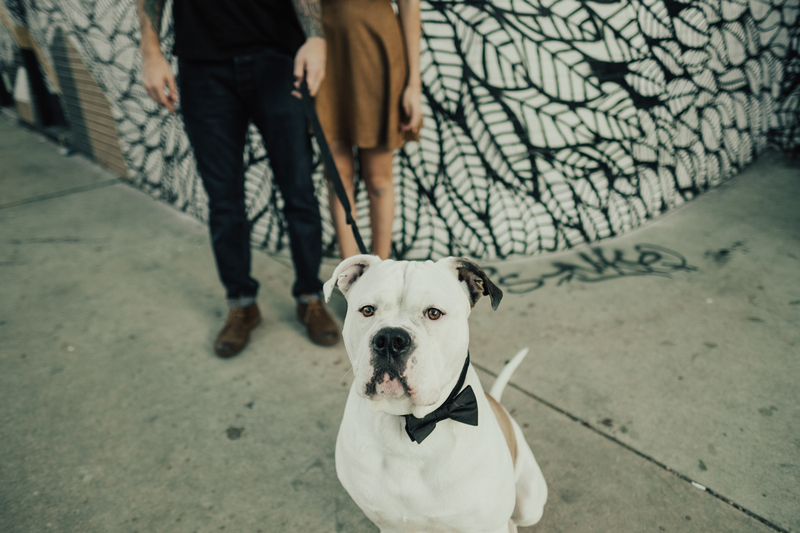 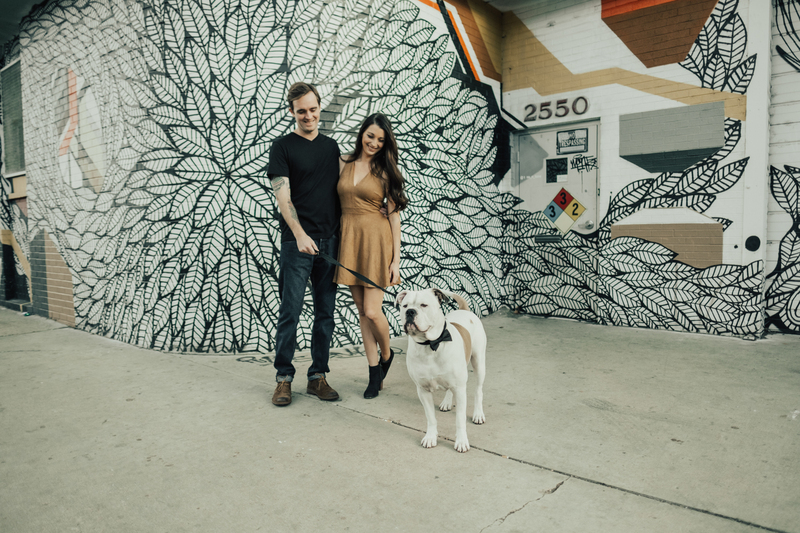 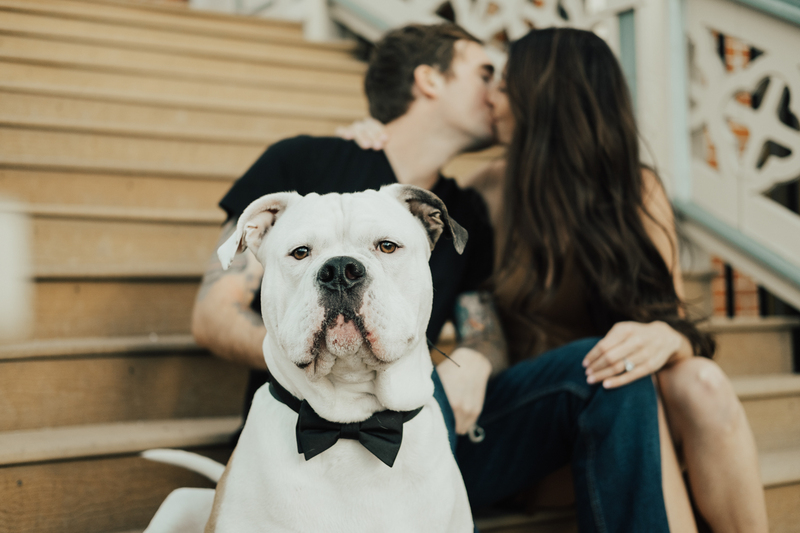 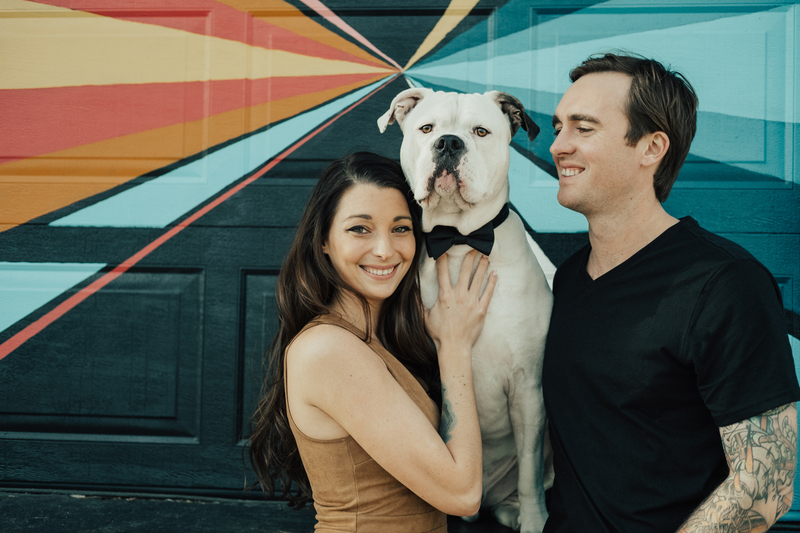 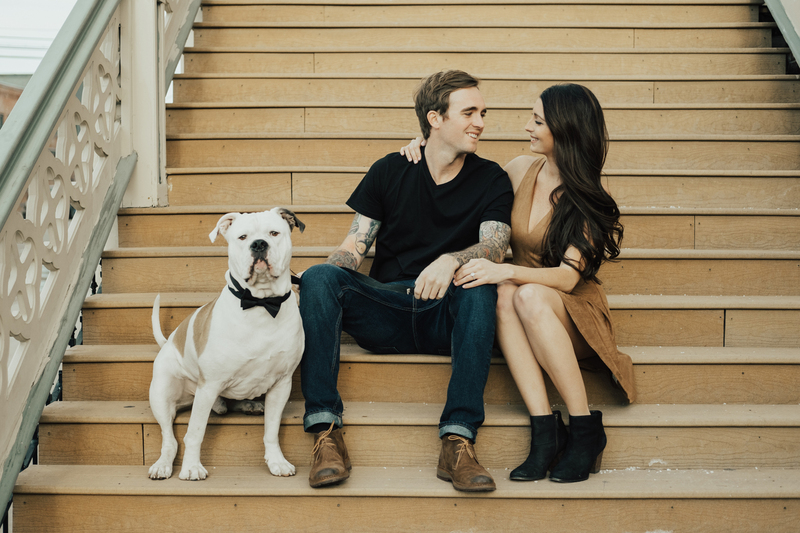 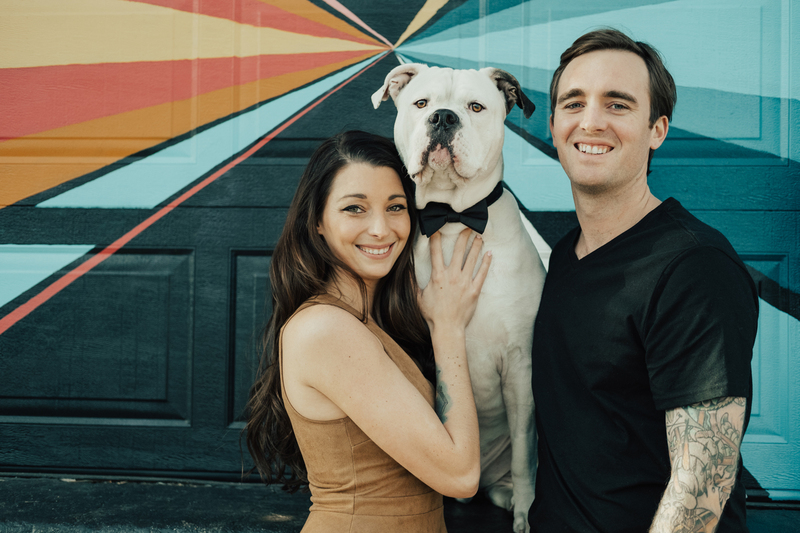 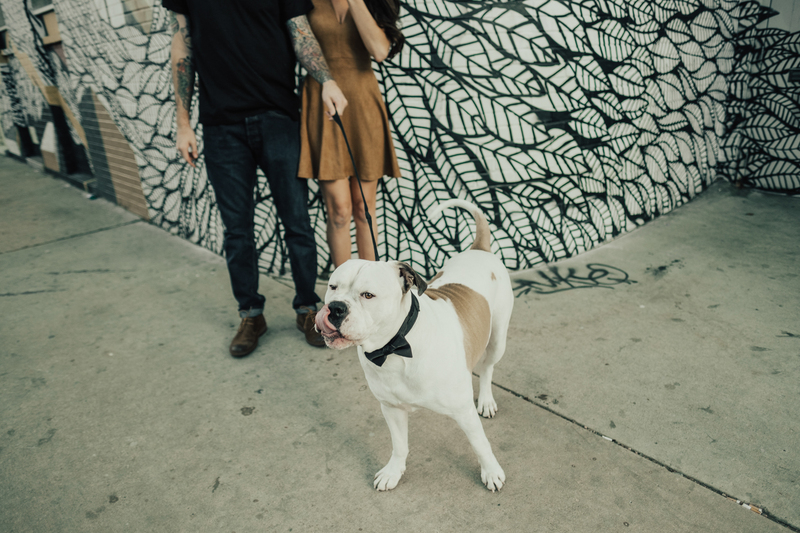 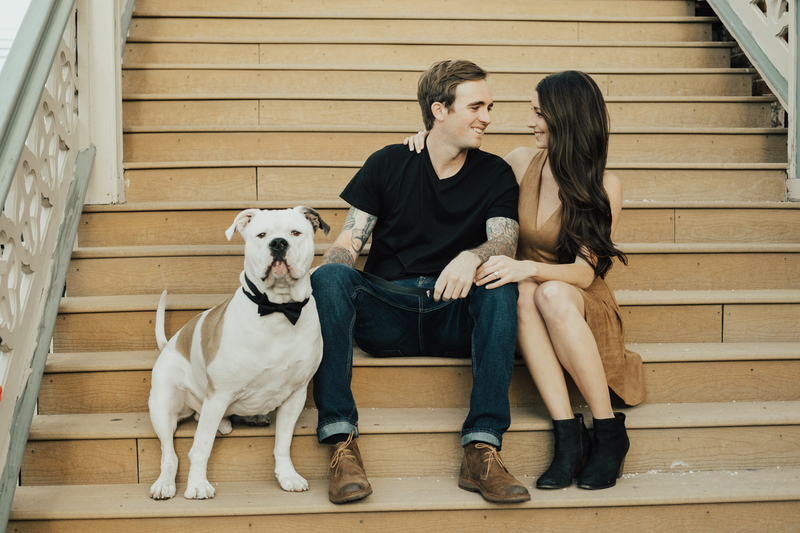 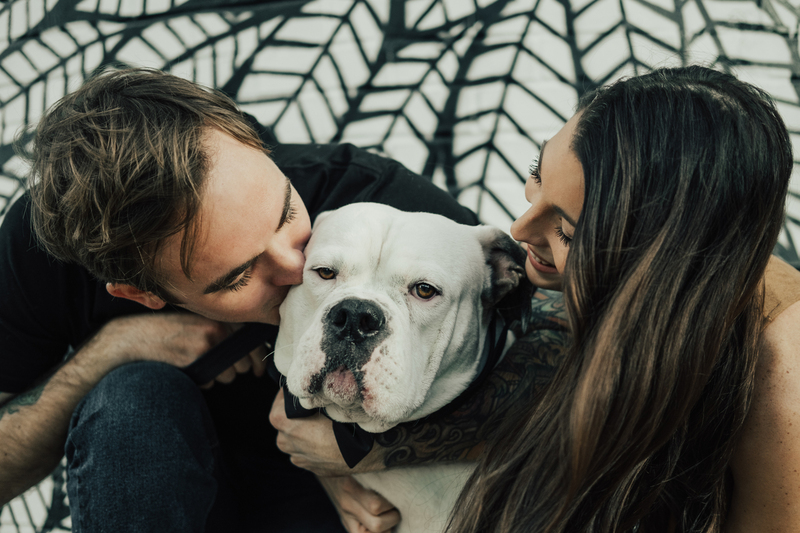 We chose a more casual downtown setting for our second shoot and they brought their sweet pup Albus who kind of stole the show in his bow tie! 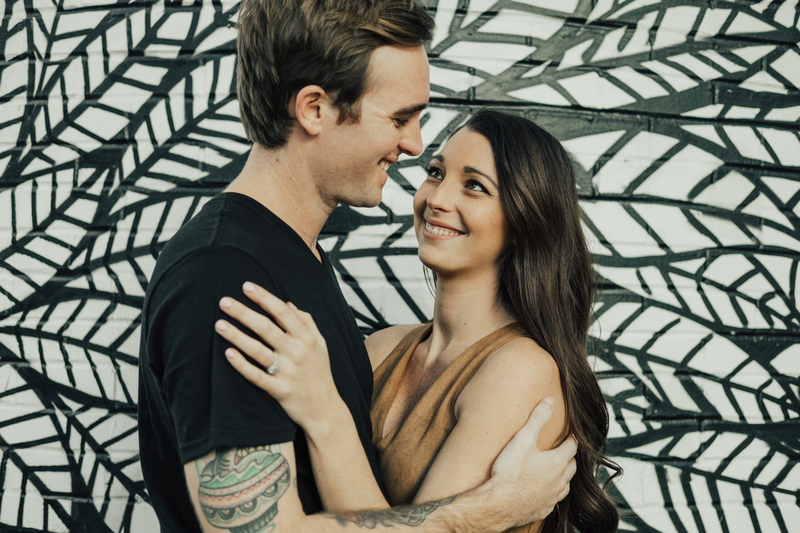 I’m so happy for this sweet couple!